I’ve gone to countless 2nd and 3rd birthday parties over the past few years. My kids are 5 and 3, so we’ve hosted a few too. If your kids are like mine, unwrapping the gifts is the highlight of these parties, rather than the actual gifts! Within a week, most of these toys have been shoved into a closet…if our kids have bothered to pick them up. I’ve seen enough to know which toys make the cut, and which get thrown into the “you haven’t played with these toys in months” pile. These 2 toys below have been staples in my house for the past 3 years, and still get mileage when we have play dates and younger friends visit. Here are 2 educational toys that your 2-year-old will actually play with! If there was ever a perfect educational toy, this could be it! 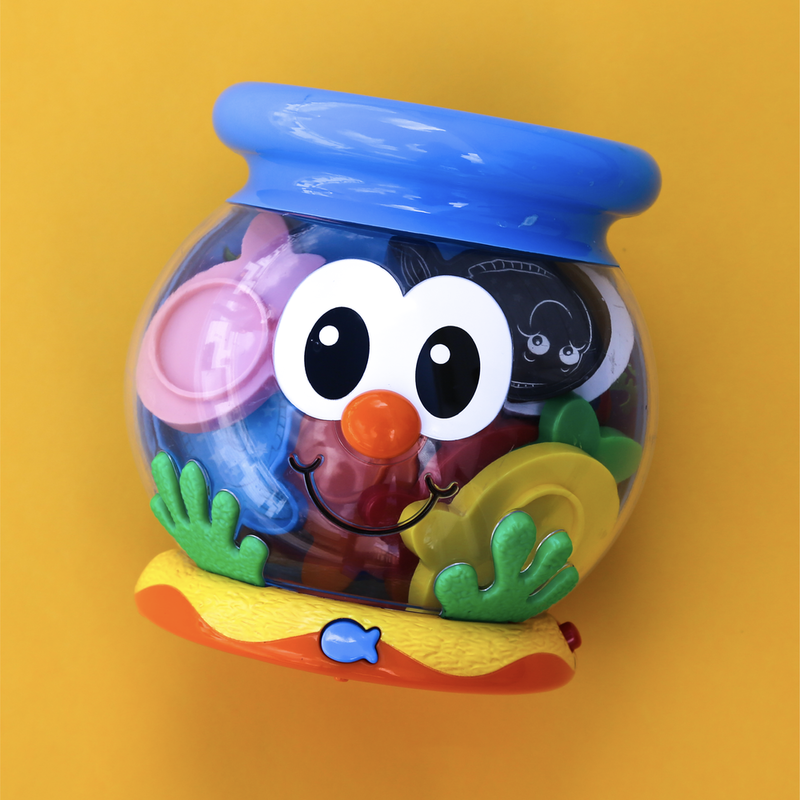 The Color Fun Fish Bowl is great for teaching colors and strengthening your child’s fine motor skills. Ok, Roll and Play may be the perfect game for 2 to 4-year-olds. As a teacher, I love toys that teach kids to take turns and follow rules (we know how easy that is, right?). Your child gets a big, soft colored cube to roll. When it lands, you read them an action card like “Moo like a cow!” Everyone gets a turn to roll the cube, get their bodies moving, and have fun acting silly. There is no “winner” with Roll and Play — a nice change of pace for competitive kids. We still play Roll and Play every week — you can’t say that about many other toys! You’ll feel great knowing your kids are enjoying a toy that is educational and promotes creative play. Check back soon for more educational toys your 3-year-old won’t be able to put down!